You can imagine that there is a lot of fun involved. 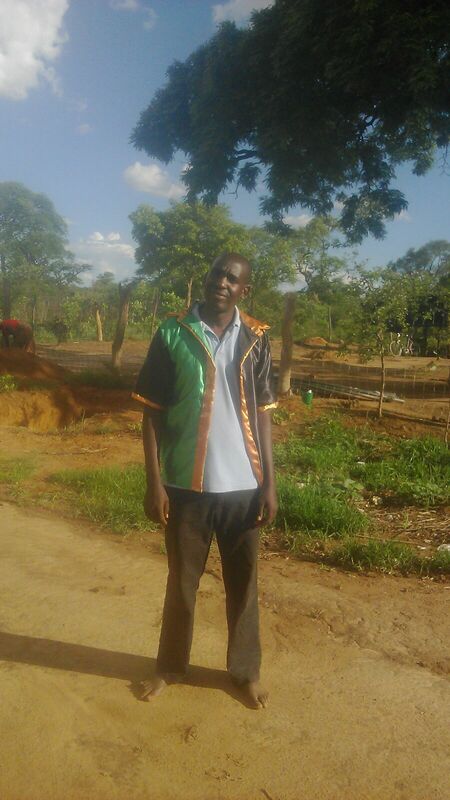 The first shirt our members designed and sewed is Zambian-themed! Turned out quite good, didn’t it? Lloyd already loves it! Thank you again to our friends from Repairer of the Breach for sponsoring the sewing machines! You guys really help changing lives by creating jobs and a source of income. Now it is all about finishing the building for our sewing and show room. Work in progress…more updates on that one soon. As you guys might have noticed…in the past days we recieved a generous donation from Repairer of the Breach Inc. to buy 2 sewing machines. This morning Lloyd sent a video he took at Chinkonono Village. It shows our PAF ladies dancing and singing full of joy. They are so happy and sing about all the development this generous act will bring and that it will help end poverty. They thank our donors. Also those smart ladies took their chance and have been smuggling in all their fabrics and first tailoring attempts 😉 Sneaky. But our PAF collection will be en vogue soon 😉 We can’t wait to see more. As you all know in Africa there are a lot of different traditional ceremonies throughout the year. 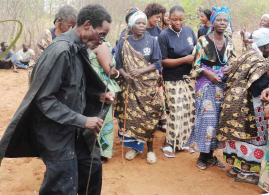 Of course in Zambia there are various ceremonies too. Now Planting A Future was invited to the Lwiindi Ceremony. It is a big honor for us to exhibit there, especially because Chief Nyawa himself invited us. The organizers say we will be there from October 1st to 3rd. But we will update you on the exact dates once we know. Lwiindi is a traditional ceremony held anually among the Tonga. 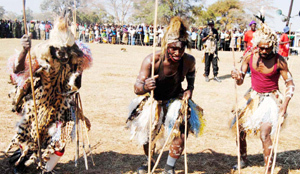 There are 3 types of lwiindi: Lwiindi of Chief Monze which is held at Gonde near Monze. Lwiindi of Chief Mukuni and Lwiindi Mweenze bbwe. Lwiindi mweenze bbwe is held among the Tongas of Chief Nyawa. This is the chiefdom where Chinkonono village is located. So this is the ceremony where Planting A Future was invited to exhibit breadfruit and other tree seedling we rais at our nursery. It will be held from September 1st to November 3rd at the Chief’s palaca at Mabwa. At this event the Chief will lead his subjects in thanking ancestral spirits for giving them food. A beer called lwiindi is brewed and the Chief also being the chief priest or the intermediary between the ancestral spirits and the people pour libation on the grave of the very first Chief Nyawa. This grave is located near a big rock believed to be the home of ancestral spirits. The name of the rock is Guta bbwe mweenze, literally meaning Guta the male rock. The rock is iconic in itself. It is a huge flat rock with prints of animal hooves and human footprints engraved on the rock’s surface. After celebrations and recieving gifts from his subjects the Chief leads his subjects to Guta. Once there he will pray to the ancestors thanking them for a good harvest, rains and protection from deseases and enemies. And thereafter he will pour the lwiindi beer on the grave while saying incantations to ancestral spirits. After performing these rituals the Chief will lead his subjects back to the village to feast and dance.